Eggplant is one of those vegetables that I hated for no particular reason when I was a kid, now I regret having missed out on all those eggplant dishes I refused to even try (what was I thinking?). 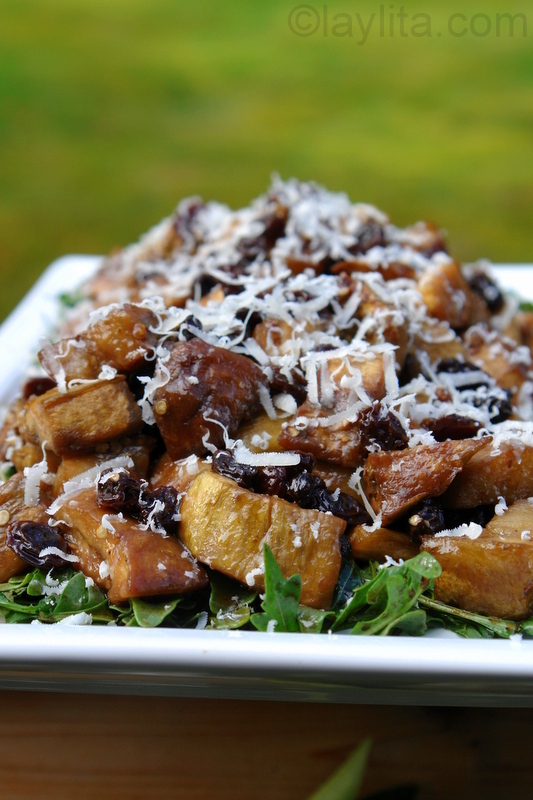 This salad consists of baked eggplant squares and raisins with a balsamic garlic dressing served on a bed of baby arugula. 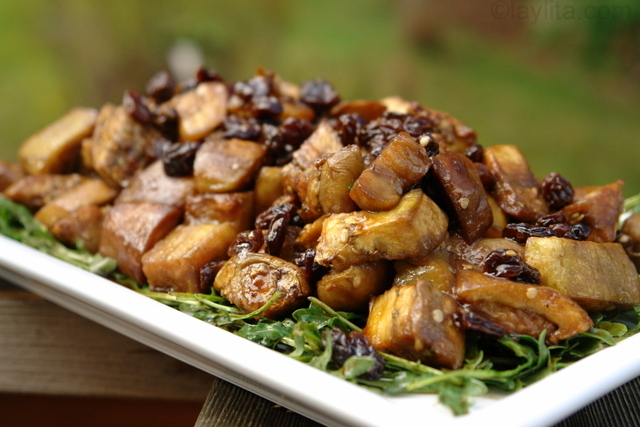 The idea of raisins + eggplant might not sound like the best combination, but trust me (and taste it), it works! I started making this salad a few years ago and it has changed a little bit (I like to think it has evolved and improved), so I’m posting the most current version. 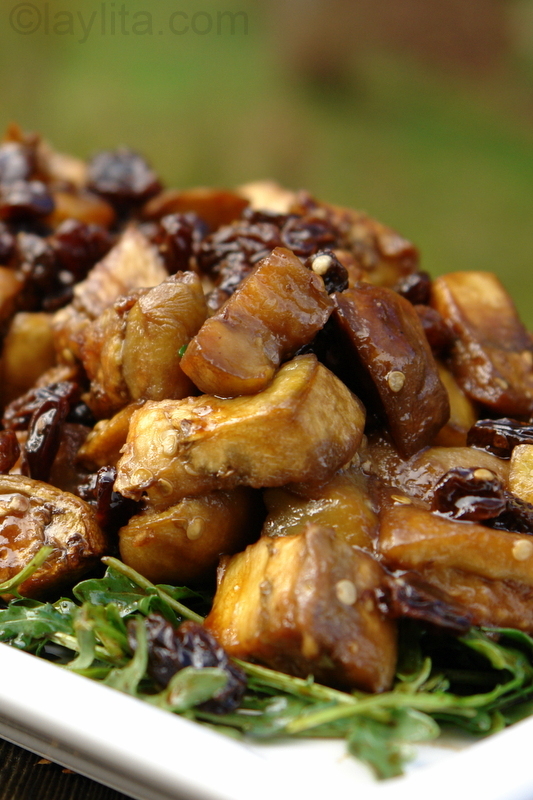 This eggplant salad is spicy, sweet, salty, tangy and peppery all in the same bite. It’s one of those salads that just need some bread and cheese on the side to make a perfect lunch. I made this a few days ago and really liked it! I reposted it with a few changes on my blog (credited to you, of course)– I hope you don’t mind!